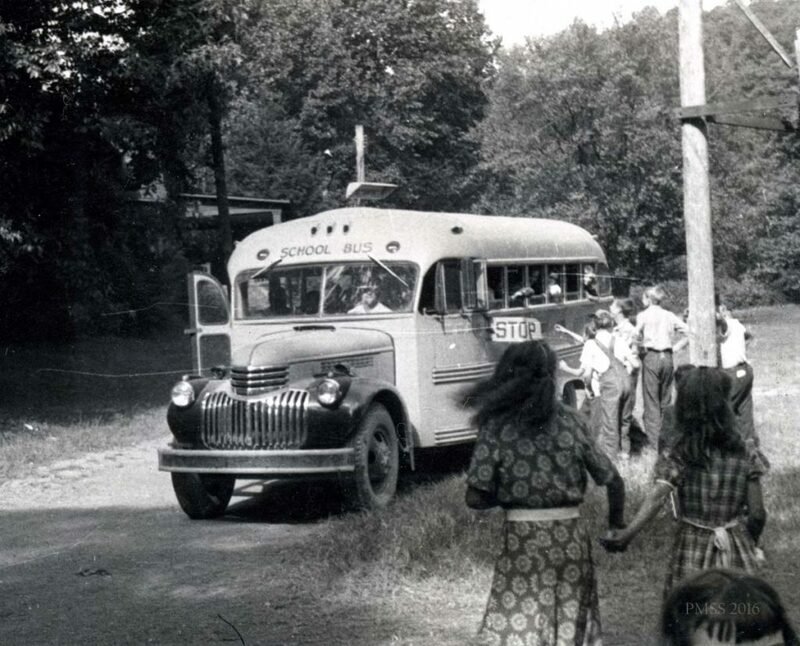 The Community or Cooperative School, as it has come to be known, was an educational program quickly put together following the closure of the Boarding School in 1949. 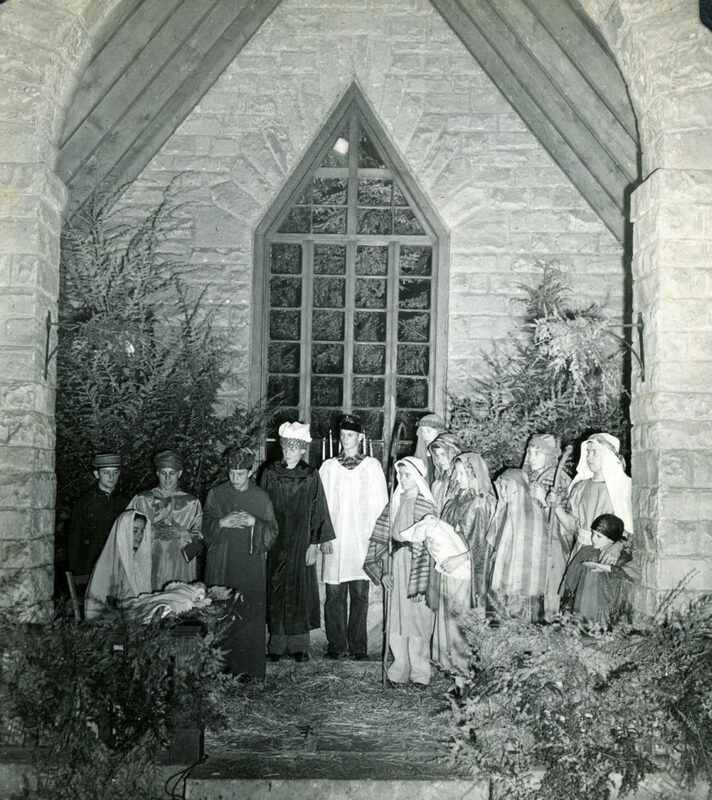 It was a cooperative program with the Harlan County Board of Education and it persisted in a variety of forms until 1972, when the programs were moved from Pine Mountain to the new Green HIlls School created by the Harlan County Board of Education to serve the valley’s K-12 population. industry. 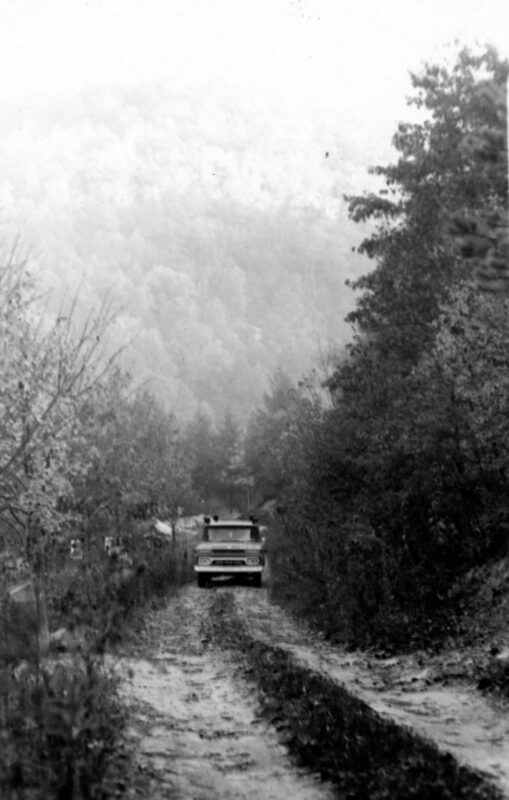 Miles of country roads were improved to carry coal from remote truck mines. Another road, a blacktop, crossed Pine Mountain eleven miles down the valley. Miners were receiving higher pay than ever before. Many skilled and unskilled workers were attracted by higher wages to leave the mountains. A number of the teaching force abandoned education for industry. Reports on education in Harlan County at the end of the forties show that a high percentage of the children were not attending school at all, or that attendance was irregular. Prices for food and commodities, hence also for labor, had soared. It was hard to keep schoolhouses in repair. Listings show that many had no clean drinking Water, or indoor toilets, and a few no facilities for washing hands. Many buildings had insufficient space and were fire hazards. Even more lacked adequate lighting and heating. Storage space, library books, lunchrooms, and playgrounds were generally absent. Some were staffed only intermittently and by emergency teachers who might have finished high school, but had no further training. The county was faced with a dilemma. Even if it could raise money to improve the school it was impossible to gauge population trends in the post-war slump. School buildings were rated “poor” or “fair” but opposite the name of the school in nearly every district was the entry “Decrease in population expected.” Would the school board be justified in spending public money on capital expenditure? At the suggestion of the Trustees, a key committee of the staff explored for a year “the basic function of Pine Mountain School in the light of a critical financial situation, and in the light of community or area needs.” It must be used “for school purposes as long as the Constitution of the United States stands, hoping it will make a bright and intelligent people after I’m dead and gone.” Uncle William Creech had laid down this policy with his original gift to the School. What service should now be undertaken to keep faith with this mandate? Should it be a trade school, a junior college? More and more the committee’s sight focused on the plight of the elementary grade schools, and the children growing up in the immediate area of Pine Mountain, where only one-fourth of the pupils were completing the eighth grade. Thus most of our neighboring children could not enter Pine Mountain High School will to serve centered on the county’s greatest need. The staff “Key Committee” reported to the Board, proposing the creation of a panel of eminent Kentucky educators to conduct a survey and make recommendations. This panel reported back to the Board in March, 1949, which then acted largely in the spirit of these recommendations. The Trustees took a step in faith that “new occasions teach new duties.” A new continuing Board of Trustees was elected to operate the Pine Mountain Settlement School as an independent institution affiliated with Berea College. No College funds would be used at Pine Mountain. It was urged that the health work should be retained, that community services should be maintained and expanded,…..
NOT written by a Pine Mountain student, this observation has joined the myriad of often-quoted pieces of trivia that appear on the internet and in the Op Ed sections of newspapers. The author is not known, but the sentiment certainly resonated with many individuals who look back with nostalgia on the years from 1935 to 1945. An article in the Chronicle of Higher Education referred to this generation as the “Peculiar Generation,” caught between the “Greatest Generation” of the War years and the turbulence of the 1960s. But, no one seems to be able to identify a consistent theme in the behavior or persuasions of this generation. 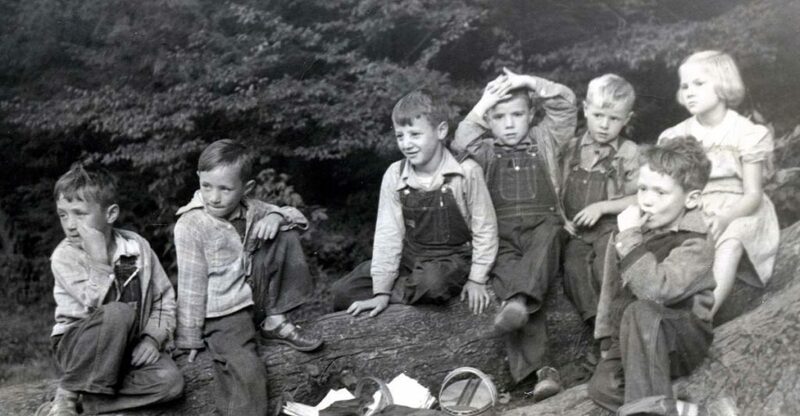 At Pine Mountain, the classes from 1931 to 1949 were certainly a group of students who charted their own course and who looked with optimism on the future. 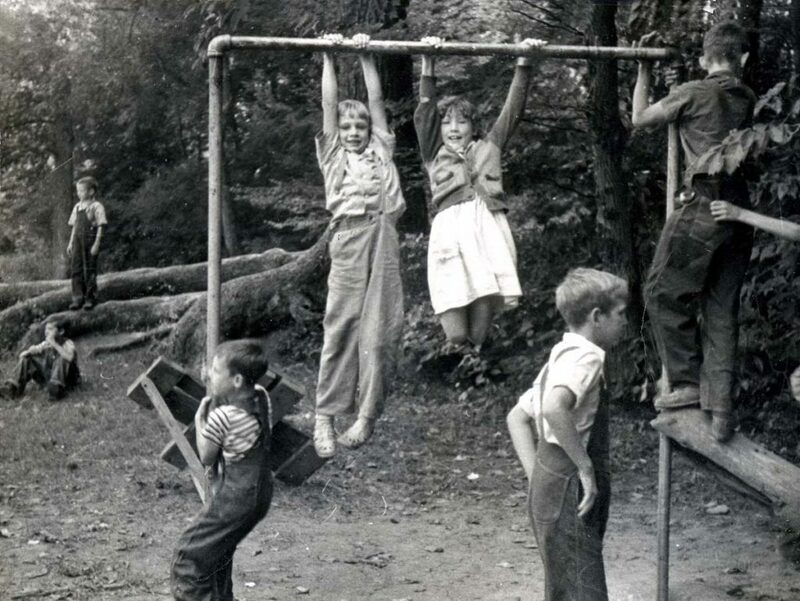 The years these students spent at Pine Mountain are often referred to as the “Boarding School Years.” They were certainly some of the most dynamic years in the School’s long history. The career trajectory of these students was as varied as were the student origins. It can be said that whatever their life-course, the students lived it with earnest conviction and a solid set of values that is in striking contrast to the lives of many younger than they. But isn’t that always the observation? Did the new school produce a different kind of student? How did the careers of these “Community” students differ from those who preceded them? What was their value system? What nostalgia did they and do they gather around themselves? The Community School students did not board at the school. They came from the immediate community and participated in a “public school” which was located at Pine Mountain Settlement. The evolution of this program is captured in February and the November NOTES from Pine Mountain Settlement School. “For the first time since its founding thirty-six years ago, Pine Mountain Settlement School is operating without boarding students. They are missed in many ways; the quiet of the campus after the last school bus leaves; absence of student chapel services on Sunday; the passing of a student labor program which did so much to make our community life run smoothly. But Pine Mountain has not lost its vitality. One has only to step into the School-house on any school day to realize that! The considerations leading to the change from a boarding high school to a consolidated elementary school were various. Trustees have been alarmed at the necessity for using capital funds to maintain a boarding school at present-day high costs. They felt too, that Pine Mountain had a definite responsibility toward the younger children of the immediate community. Several one-room county schools had three or four emergency teachers a year with long breaks between. Such teaching failed to prepare pupils for high school at Pine Mountain and few of the children close to us had enough interest in more schooling to come. “There was tense expectancy at the Schoolhouse when on August 29th the Harlan County school buses rolled up with the first pupils for the consolidated school. By the end of the morning one hundred and eighty-six children, somewhat awed by the strangeness of their surroundings, had enrolled and the new consolidated elementary program was actually begun. Enrollment was far beyond expectations. There were nearly fifty more than last year attended the five schools which were consolidated. Divided among four teachers the classes numbered from forty to fifty-five. Over-crowding of our small classrooms became our most insistent problem. 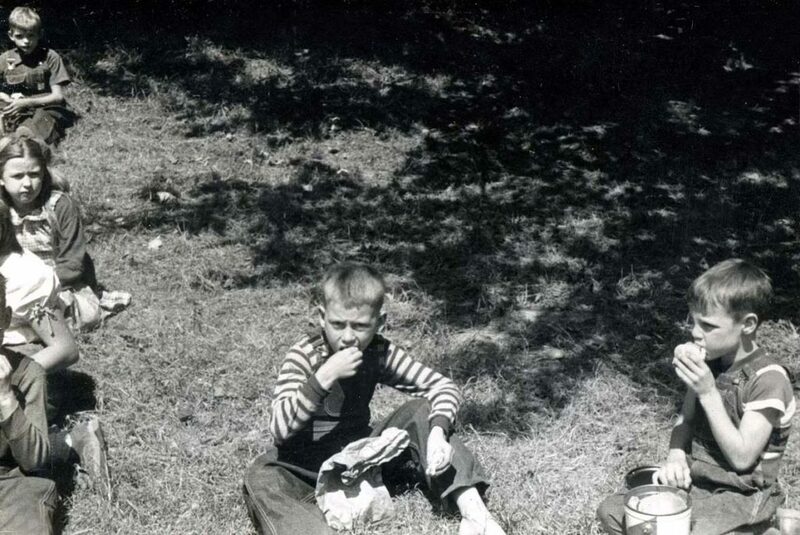 During the first sunny summer days, teachers and classes ate their lunches in pleasant fellowship on the lawns near the Schoolhouse. Lunches with their many wrappings brought up one of the first civic problems—the appearance of the school grounds. Each class was made responsible for one section of the grounds and children who threw things down without a second thought began to look about for trash cans. Indoors there were class-rooms and hallways to sweep and the desire to keep ‘our school’ clean and attractive grew as students took turns at these tasks. 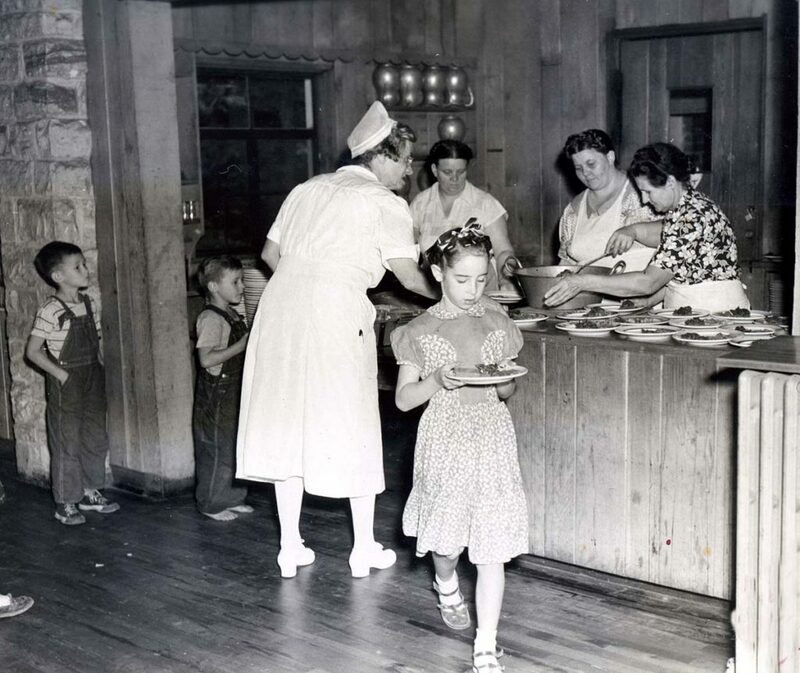 A hot lunch program financed by the parents and government subsidy was soon organized. Teachers stress in their classroom teaching the importance of a balanced diet in an effort to attack poor eating habits. Weekly educational movies take the students to far places. Most children have not been farther than Harlan town, eighteen miles away. Younger ones were unsure of the name of their county —and even their state and nation. 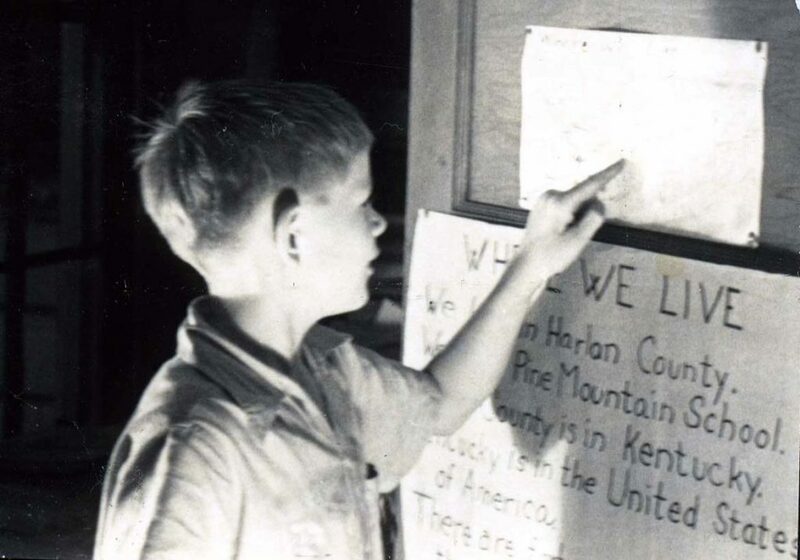 One wrote, ‘ ‘My state is Big Laurel, Kentucky.” There was considerable confusion in the third grade whether Kentucky was in Harlan County …. Through the sunny days of September and October enrollment increased and attendance held up well in spite of pulling fodder, grinding cane, and digging ‘taters—fall tasks which keep the big boys out of school. Even on rainy November days attendance has surprised us. Buses pick up many children right at their gates but getting to school is not so easy for all of them. Already a few have failed to appear after a heavy rain because they couldn’t get across the creek. Pupils living up Big Laurel and Little Laurel Creeks walk three or four miles to get to the bus. With winter weather and high water this may be impossible for all but the sturdiest. The staff working together on the new school program are people with experience at Pine Mountain. Burton Rogers, formerly, teacher of social science, acts as principal. He is a person who has always sought ways in which the school could serve this community more effectively and he sees our present program as a big step forward. Miss Atha Stahl has first and second grades. She has taught the county school at Little Laurel with conspicuous success for several years. Miss Dorothy Nace, who teaches second and third grades, has been secretary at Pine Mountain for five years. Miss Gladys Hill, who teaches fifth and sixth grades, has taught at Pine Mountain for twenty years. It was she who organized the course in the study of cooperatives which received attention all over the country. Ronald Henderson has the junior high grades—seventh, eighth, and ninth. He has taught science at Pine Mountain for the past four years. The only teacher new to the community is Mrs. Golda Baker [Pensol], who came at the end of the second month to relieve the overcrowding. She comes from Rockcastle County where she has had experience in building up neglected rural schools. With crowded classrooms a serious national problem, we are fortunate that Harlan County was able to send us Mrs. Baker. The challenge of our new program is two-fold. Taking children from schools which suffered from poorly trained, inexperienced teachers, we find them behind their grade level in reading and other basic skills. Many are lacking too, in the group feeling which is essential to a successful school, but in both these areas progress is already evident. We still believe in the importance of training the hand as well as the mind. The first step in this direction has been the organization of a 4-H Club for older students. Under the supervision of the county agent, volunteer leaders will offer training in sewing, canning, agriculture, forestry, and woodwork. It is unthinkable that a school so rich in traditions should fail to continue some of its seasonal celebrations. The third and fourth graders prepared a simple program in memory of William and Sally Creech at the time of Uncle William’s birthday. ln preparation the children read the history of the Creeches and the early history of Pine Mountain school, visited the tiny log house which is now the school museum, and invited Henry Creech, one of Uncle William’s sons, to tell them from his own memory of the earlier days in this valley. 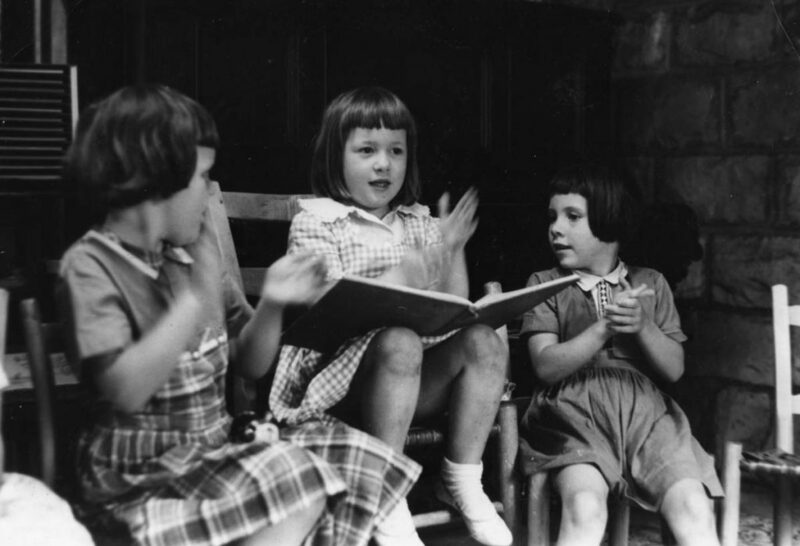 While the transition to a “Community School” seemed sudden, there were many signals that the School needed to assess their services to the community. Educational needs and medical needs still remained the highest needs of the surrounding community. Today the needs are not much different, with several exceptions. The need for local employment is a significant need following the downturn in the coal industry and the mechanization of mineral extraction. The need for drug intervention has continued its rise over the last three decades and in some areas has reached a critical level. These needs and many others are not just Appalachian needs. They are needs that are scattered throughout the nation. 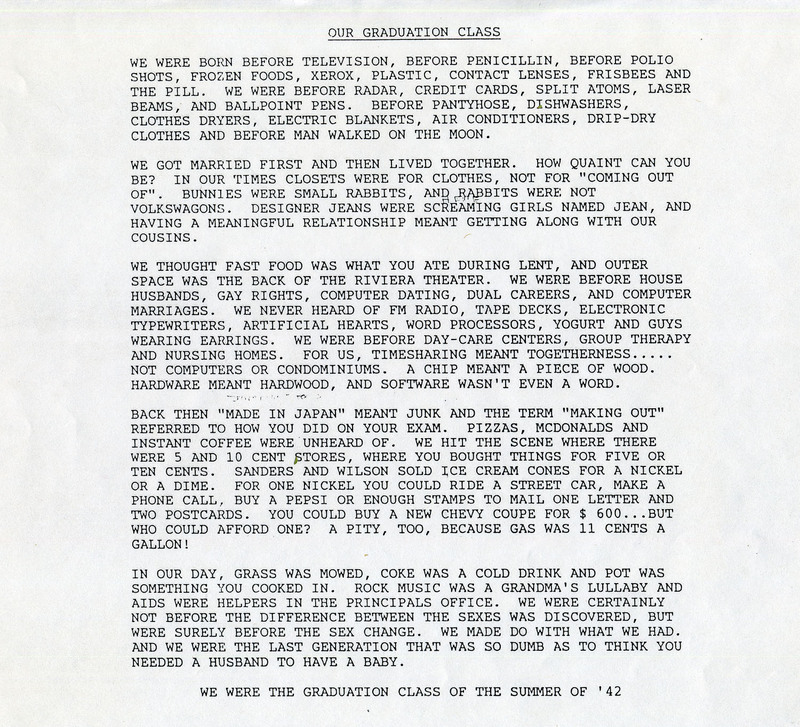 Humorous, but trivial, the anonymous “blog” that cataloged the changes in generations also emphasized the enormous distraction that media has brought to the educational process. What value system are we giving today’s youth in today’s school? How does the school in the Pine Mountain valley today carry forward the values of 100 years but grow to meet the challenges of the 21st century? We all have an investment in the answers.